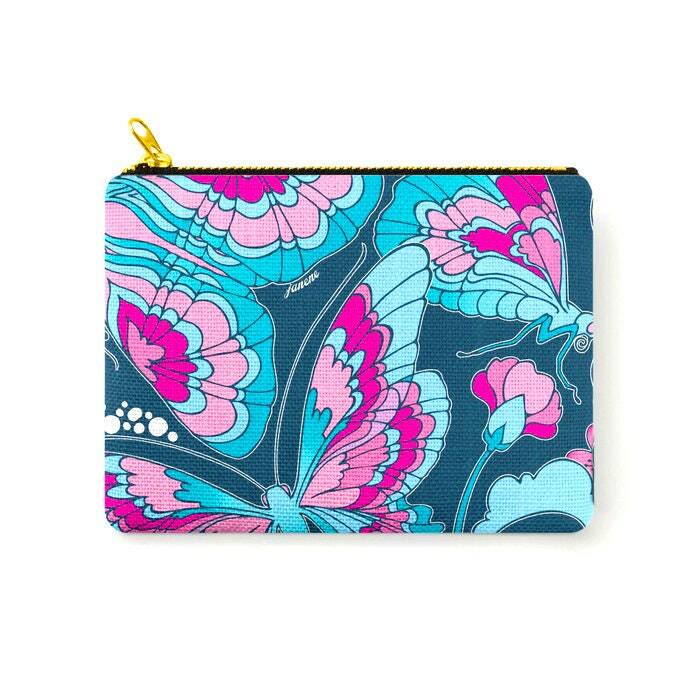 Organize your life with my heart printed zipper pouch. 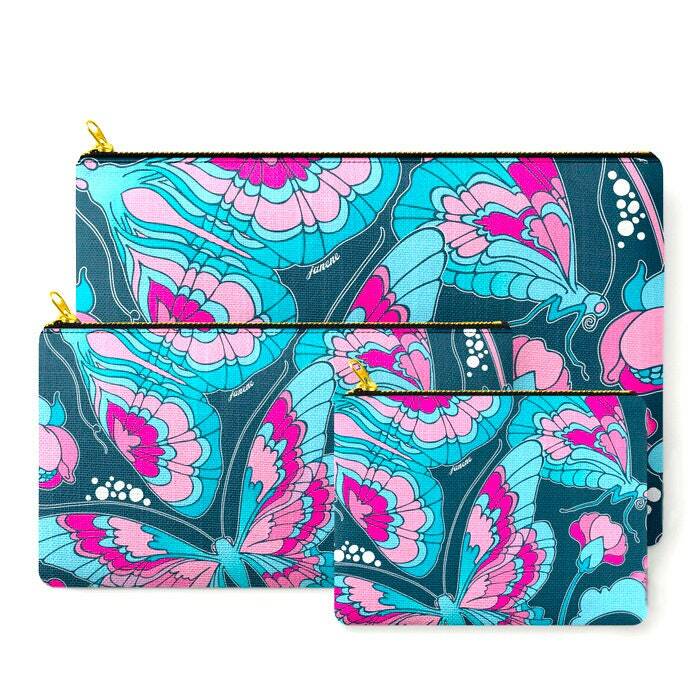 Available in three sizes with wraparound artwork, these pouches are perfect for toiletries, art supplies or makeup. Even an iPad fits into the large size. Features include a faux leather pulltab for easy open and close, a durable canvas-like exterior and a 50/50 poly-cotton black interior lining. Machine washable. 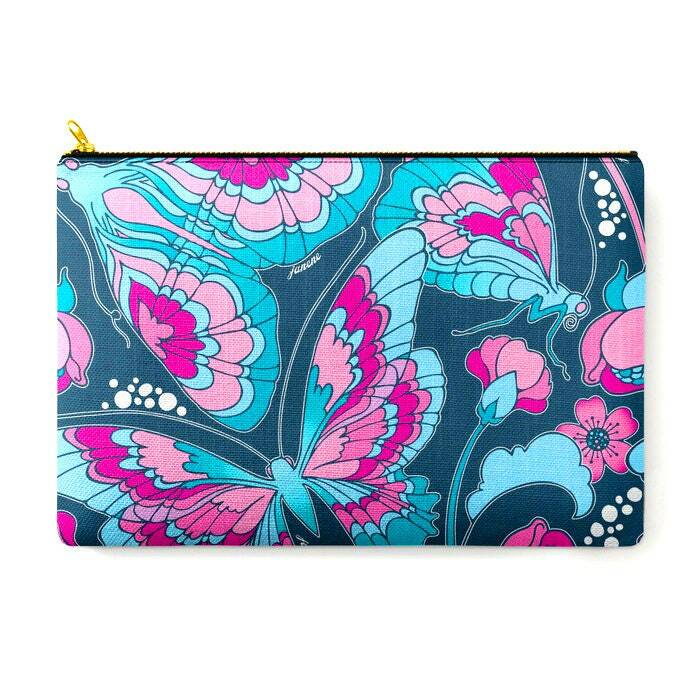 I love bold color and mixing prints! 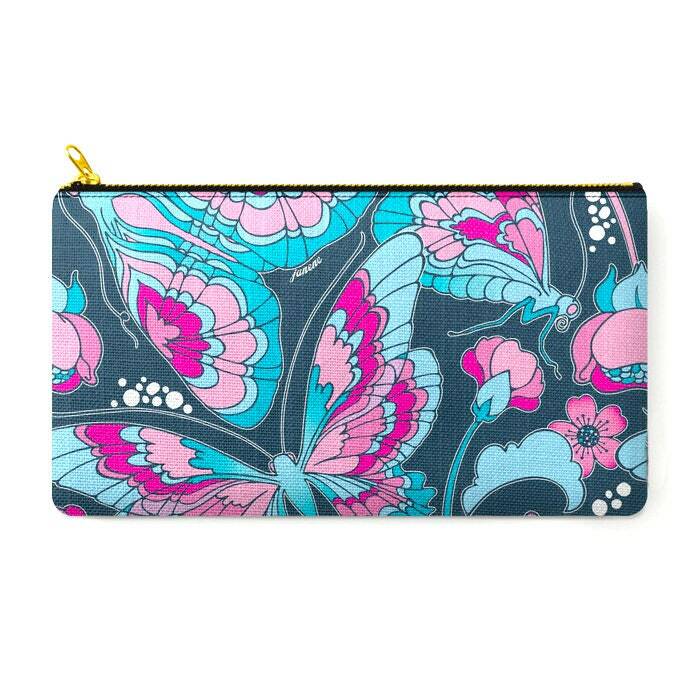 My patterns are inspired by my travels, reading and a love of art, LOTS of art. Meant to be playful, I like to think of them as a funky, new take on pop art. I hope you enjoy and come back again! Available in 3 sizes. Check drop down menu for description.